Like every month, Google has released the latest Android distribution numbers for this month as well. And finally, we can say that Android Marshmallow, which was released in 2015, is finally closer to the 30% mark. To be more precise, Marshmallow is now running on 29.6% of Android devices around the world. Last month, Android Marshmallow stood with a share of 26.3% in the distribution chart. 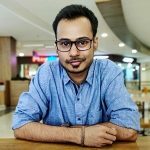 While Marshmallow has seen a growth of 3.3% within a month, it still ranks second in the list as Lollipop is still enjoying the first spot with a share of 33.4%. 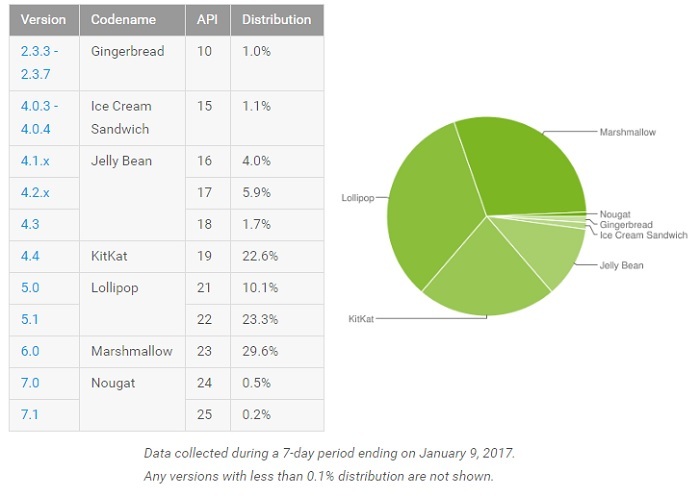 Something worth noting is that Android Froyo, which was still running on 0.1% of the devices is now out of the distribution list. Talking about other versions of Android, following Android Lollipop and Marshmallow are Android KitKat with 22.6%, Android JellyBean with 11.6%, Android Ice Cream Sandwich with 1.1%, Android Gingerbread with 1.0, and finally, Android Nougat with 0.7%. As far as Android Nougat, which was released in August last year, is concerned, it still is under 1.0%, however, we aren’t surprised with that number and don’t see it rising quickly any sooner. By the way, which version of Android is your smartphone running on?